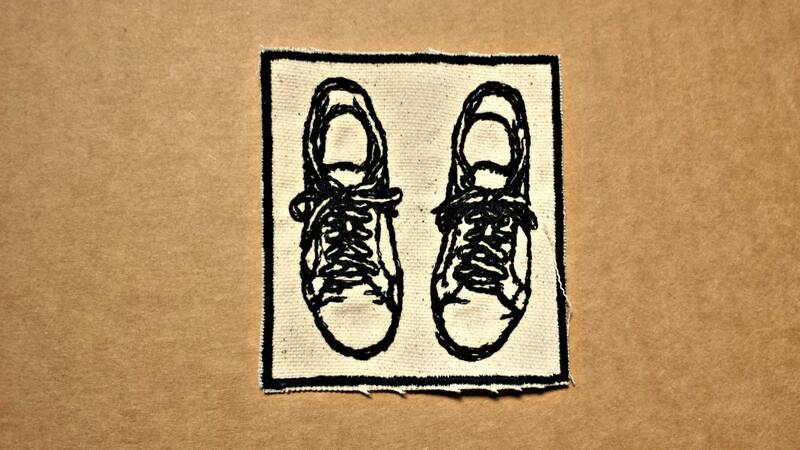 This vintage graphic running shoes embroidered patch is embroidered onto natural cotton canvas. It is 3.12" x 3.42". 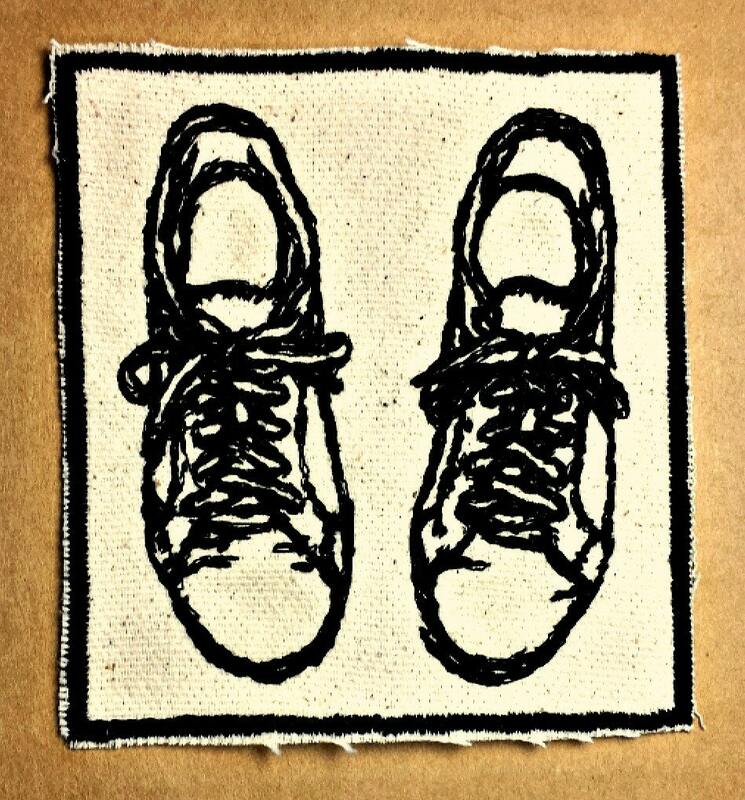 Sew on is also available.